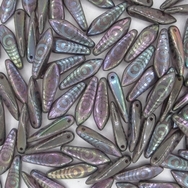 This is a pack of 15 top-drilled, glass daggers in an Iridescent dark peacock design. 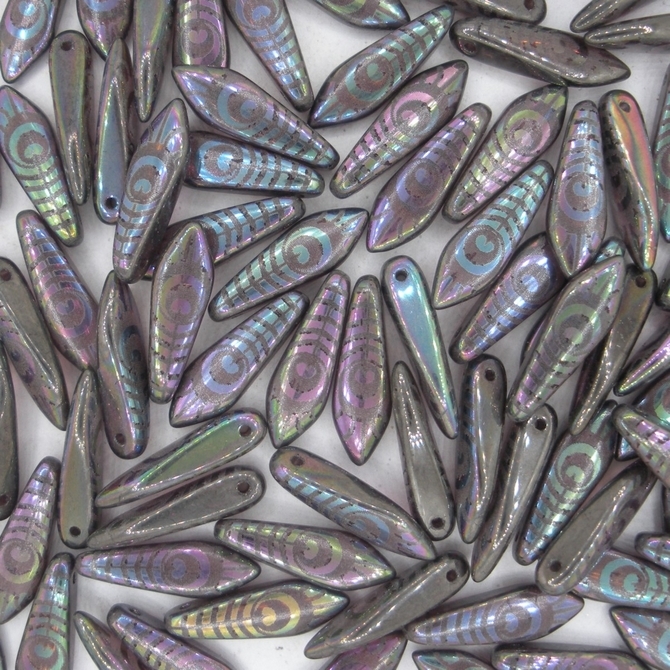 Each bead has been individually printed so the design is the same on all the beads. They are 16mm long, 5mm in diameter and were made in the Czech Republic. They have a Laser Etched coating which will not rub off.